I am new to gardening and in the process of starting my first square foot garden. 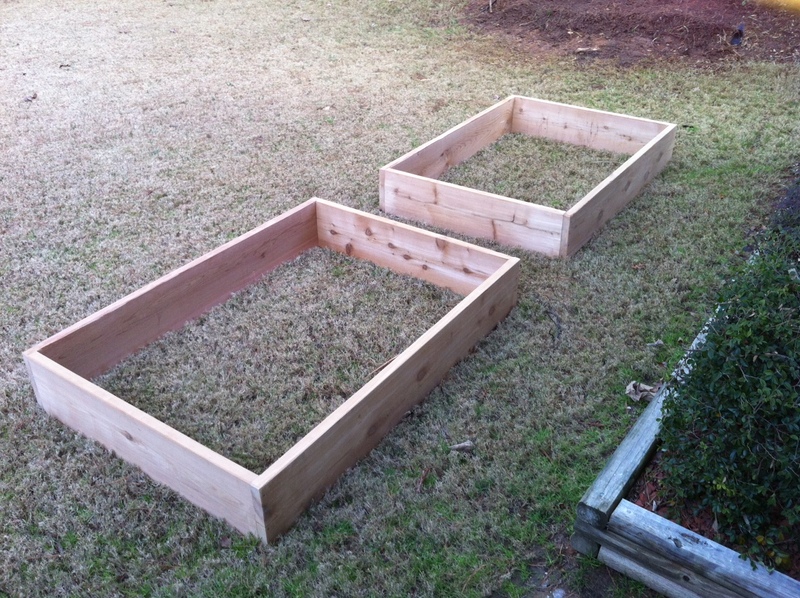 This past weekend I built two 4x6x1 garden boxes and am now trying to determine where to put them. My house faces pretty much east /west (front/back). 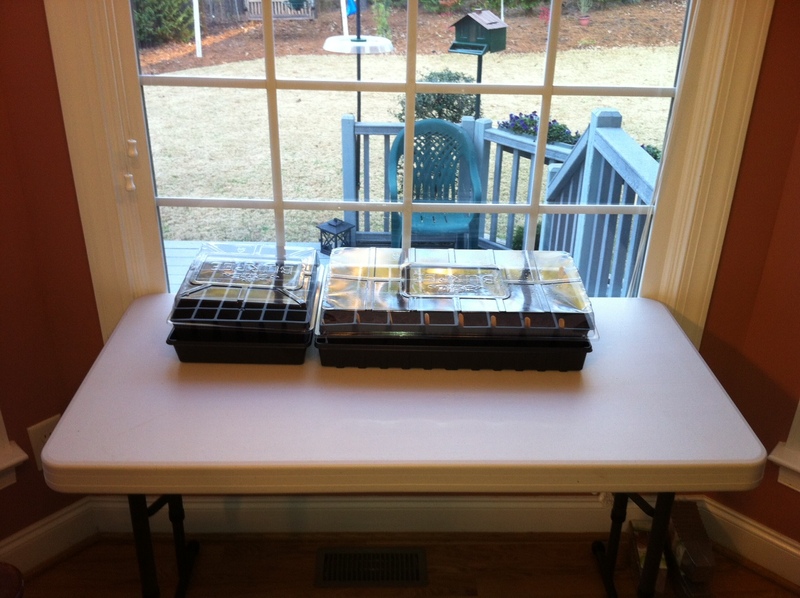 I am restricted to planting in my back yard. Below are a few pics of my back yard and the location where I am currently planning on placing them… Trying to balance between optimal sunlight and not placing them right in the middle of my backyard. Looking some feedback if the location selected will work. Thanks! Also here is a pic of the Burpee starter kits I started this past weekend as well. Thanks for the feedback. I have been trying to peek out in the back yard as much as I can during the day to watch the sun / shade throughout the day. Unfortunately there is no perfect location. About half of the yard is shaded by the house in the morning and the other half by the trees in the afternoon. Currently I’m thinking of incorporating the feedback given, turning them 90 degrees and moving them out just a bit. This will allow for more tomatoes, etc and leave room for an additional 4×4 planter in the future. Most of what I will be planting is leafy greens since I make green smoothies every day. So some shade may be a good thing! Hi Dan – I’m certainly not an expert but I can tell you something from experience. (I live in Little Rock, AR.) 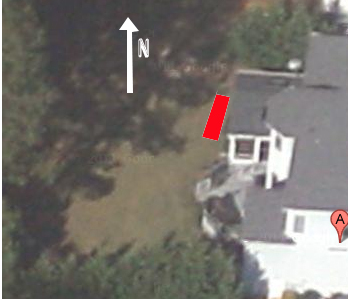 From the green/brown grass line near your house, I would say that your boxes are too close to the (shade of) the house. The green grass (or weeds) in winter tells me that it would benefit your boxes to move them at least 6 more inches away from your house so that your garden boxes will get more sun. We built boxes in a similar location to our house. The grass/weeds on the ground are a good indicator – especially in winter. It tells me that the ground is not getting adequate sunlight to dry out. 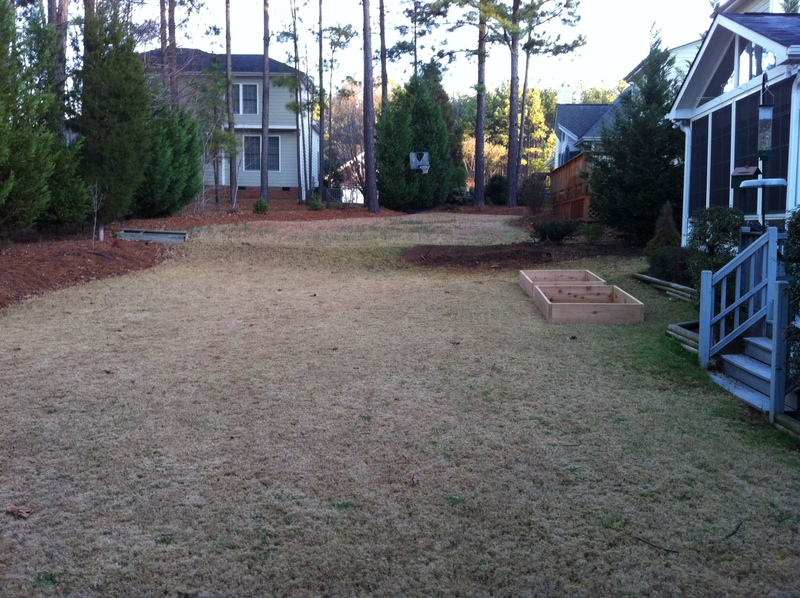 In the first picture of this post, examine how the greener part of your yard is the closest to your house. Just my two cents. Happy gardening! Get as many hours of sunlight as you can. Also depends on what you want to grow. If you are growing all leafy greens a bit of shade may help them. If you want good tomatoes, they’ll need as much energy as possible (Sun). If your soil is Mel’s Mix or close to it, another plus is it is light. If you need to build a box somewhere else and shovel up the mix and move it that isn’t as hard as one would think. It is not like moving dirt. Hi Dan, where ever you choose to place them, put the long side on a north/south line. That way, you can plant your tomatoes and climbing plants on the north side on a trellis and not interfere with sunlight getting to the rest of your plants!